Macclesfield Remapping use a system called Hydro Carbon Cleaning to clean the inside of your engine, call it a Detox for your vehicle! Basically it works like this. A control box passes current over positive charged plates while using distilled water to create hydrogen and oxygen, this will then pass through the air intake of an engine and out through the exhaust system as a gas, ideally its like chemically steam cleaning the inside of your engine, helping to remove the excess carbon that builds up in various areas (EGR Valve, DPF, Lambda) that leads to poor running and loss of power issues. It’s a simple and safe process and requires no dismantling of engine parts or the use of harmful chemical products. 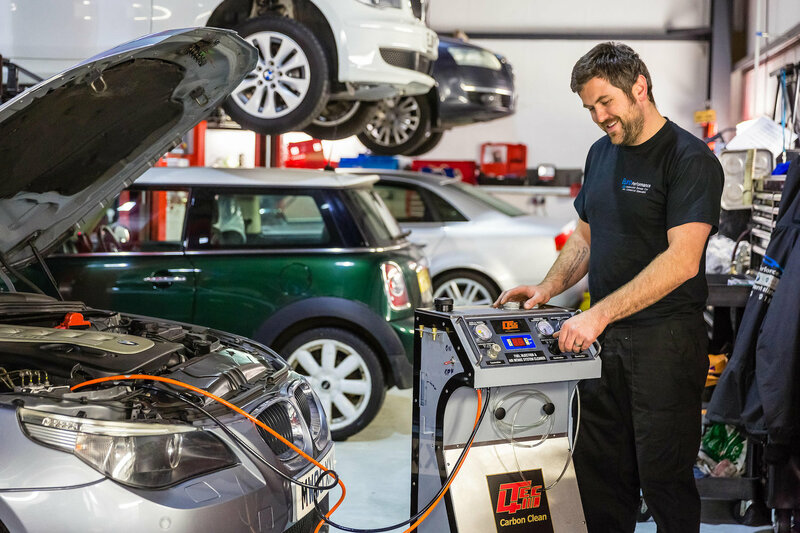 We recommended using the Engine Carbon Clean service as part of your vehicle’s regular maintenance schedule and at our prices there's really no reason why you can't, we charge £89 per car/van up to 2.0L albeit Petrol or Diesel, after that engine size greatly depends on time allowance but on average the whole process takes around 40 minutes to complete, again this is longer on larger engines! Restores fuel consumption, engine power and performance extends the lifecycle of expensive engine parts by helping them work more efficiently. Soot and carbon scale are removed from engine components like the turbo vanes, EGR valve, DPF's, catalytic convertors, injectors, valves, and airways etc. Carbon-Cleaning is not about giving an engine more power, it's about given the engine back the power it has lost over time due to carbon build-up, and assisting it to run and breath more freely. Suitable for cars, vans, HGV and boats.